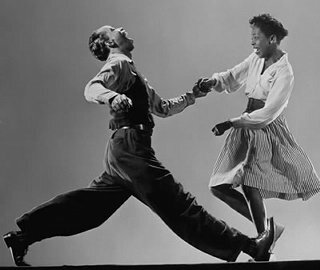 Lindy Hop is said to have begun at the Savoy Ballroom in Harlem in 1927… someone asked George Snowdon what that crazy thing was that he was doing. ‘The Lindy Hop’, he is said to have replied, supposedly as an homage to Charles Lindbergh’s ground breaking solo New York to Paris transatlantic flight. It kind of snowballed from there. Soon, the Savoy was jumping with Lindyhoppers going wild to the sounds of Chick Webb and Ella Fitzgerald to name but two, and from there the dance that we now know as Lindy began to evolve, based on a fusion of elements from other dances, primarily the Charleston and the Breakaway, and became the training ground for the second generation of Lindy stars such as Al Minns and Leon James, and of course the legendary Frankie Manning. With the change in musical fashion after the war, the dances that went with the music changed too, and slowly, partner dancing fell by the wayside. 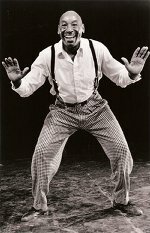 Until in the 1980’s, legend has it that separate groups of people (from Sweden, the UK and the USA), having seen and been inspired by movies such as Hellzapoppin’ and A Day At The Races, began to search out the original old timers that were left to teach them the steps as they did them back in the day. 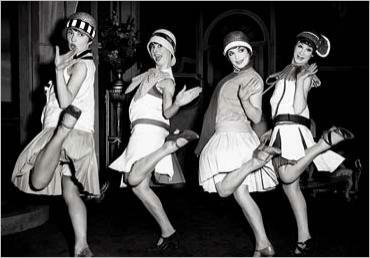 Thus Lindy Hop was saved… and enjoyed a bit of a resurgence in the 1980’s. Today, the ‘second wave’ of that resurgence is still going strong, and Lindy is now danced all over the world by all manner of people from all walks of life. As hobbies go, it’s not bad as a foot in the door to the whole world… wherever you go, you’re likely to meet like-minded Lindy Hoppers that share that single passion… to dance!